So here it is after many months of waiting the Form1 Stereo printer is sent to backers! and I received a few days ago my puppy, and now the 3D touch has some serious competition. I will not do a full tear down of the printer, but if you are interested to see the guts of the form1 Bunnie’s blog has an interesting post. 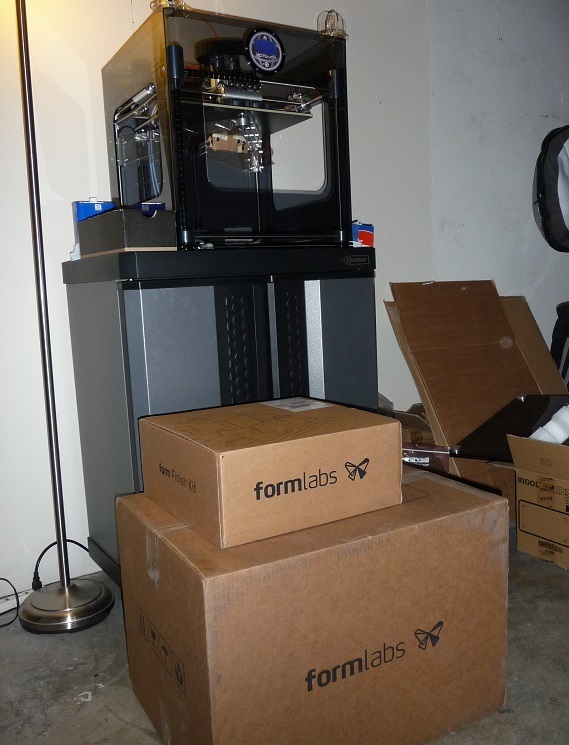 The cardboard boxes are massive and Formlabs decided to avoid foam or bubble wrap to lock the printer in place. The printer was held by 2 plastic films, but you can see in the picture under that during transport it shifted out of the slot. Nothing serious in my case but I have already read some reports of people complaining they received their printer damaged. I’m not exactly sure if this packing method is completely fool proof, especially if the box are rotated during transport/handling. 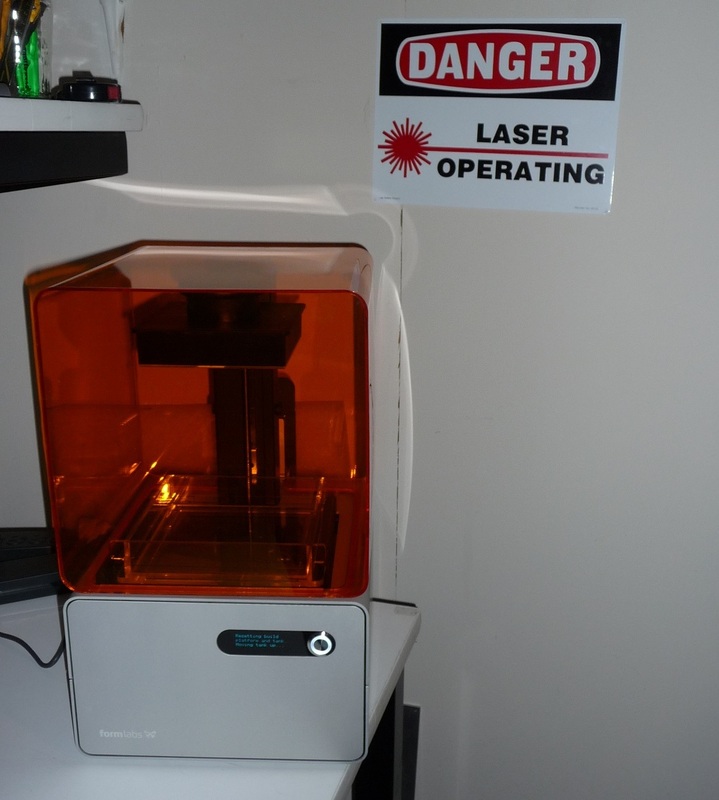 The unpacking was really easy, just a few tape pieces to remove… But dang, that’s a sharp looking printer! I’m especially impressed by the build quality. As you can see in the following pictures, they didn’t try to cut on the details. The only small remark I’ve is that the printer detect when the orange hood is closed using a hall sensor and from time to time the magnet is not completely aligned so you need to fiddle/move a bit the hood to get it detected. Now let’s move onto the printing. The samples I’ve seen during the Maker Fair were great but I have to say I feel the Preform software (V0.8.1 at the moment of writing) is still somehow limited and you need to practice a bit to understand how to get the best out of your printer. My first test was a 25 microns print of one of the Cyvasse game piece but for some reason the support (surface of ~ 2 * 1cm) was not sticking to the platform and the cured resin ended up floating in the tank… So after 2 tries and a fishing party to retrieve the layers, I decided to start with something easier and stick with the default 50 microns layers for the moment. My first success was with a pocket monster figurine by Andreas. I’ve scaled it down to 50% (.form file) and the result is quite stunning when you are used to the FDM quality. 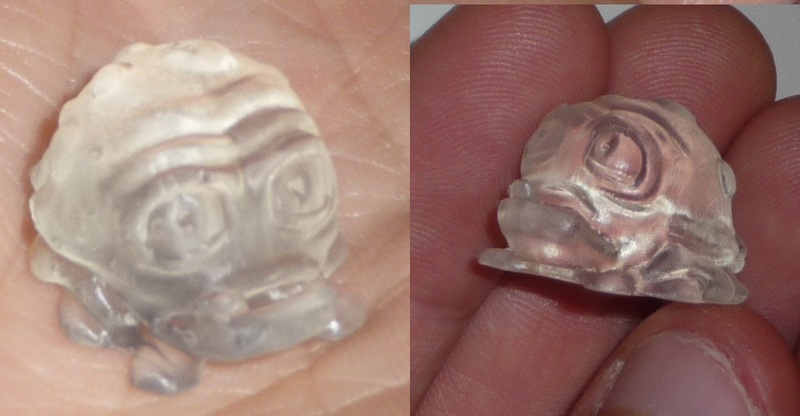 Once cleaned from the resin with alcohol and dry the pieces are a bit cloudy and not very shinny (left picture). I used a Varathane Gloss polyurethane water based spray (interior / Heavy Use Formula) to get a great shine (right picture). 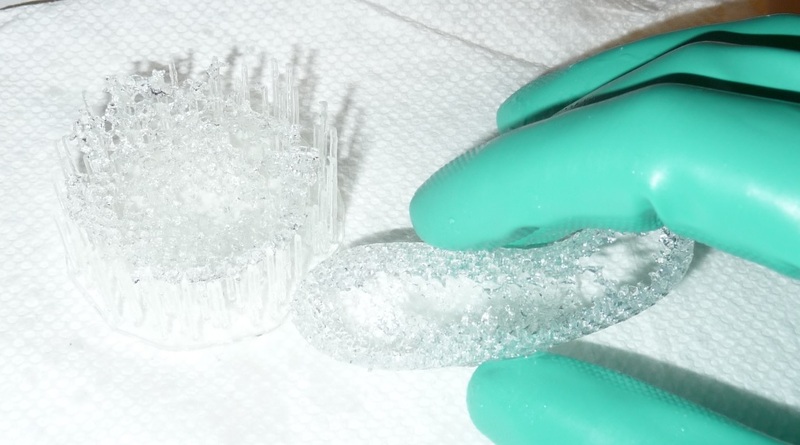 With one layer, the details are not lost and you really have the impression that it’s made of crystal. It didn’t worked out and I could just clean up the mess after. As you can see the resin is rather flexible and not fully cured after print. 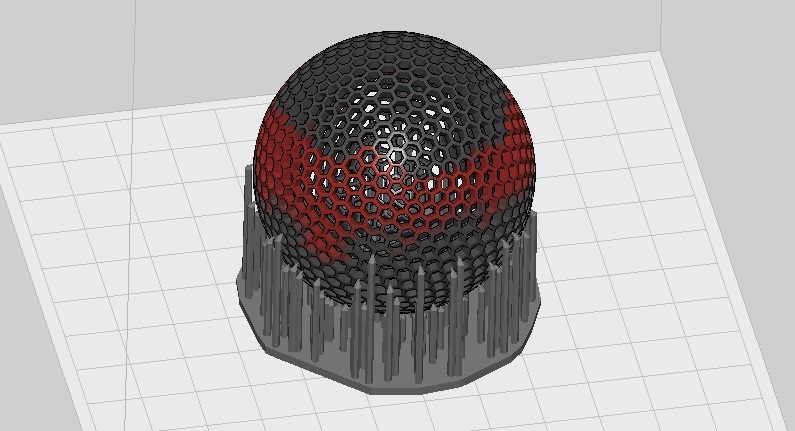 I couldn’t remove the remaining of the sphere from the support without tearing the sphere in half. 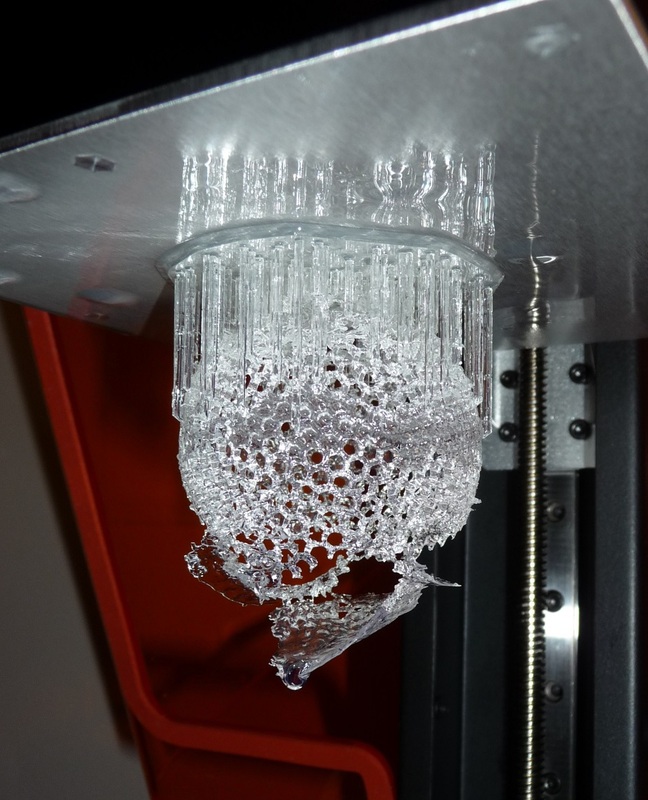 So lesson 1 is: don’t pull 1mm thick walls… Maybe I should have tried to wash the result and wait until dry? I was surprised to see how flexible the resin is after print, so I’ve put some of my failed pieces outside in the sun to see how the resin age. 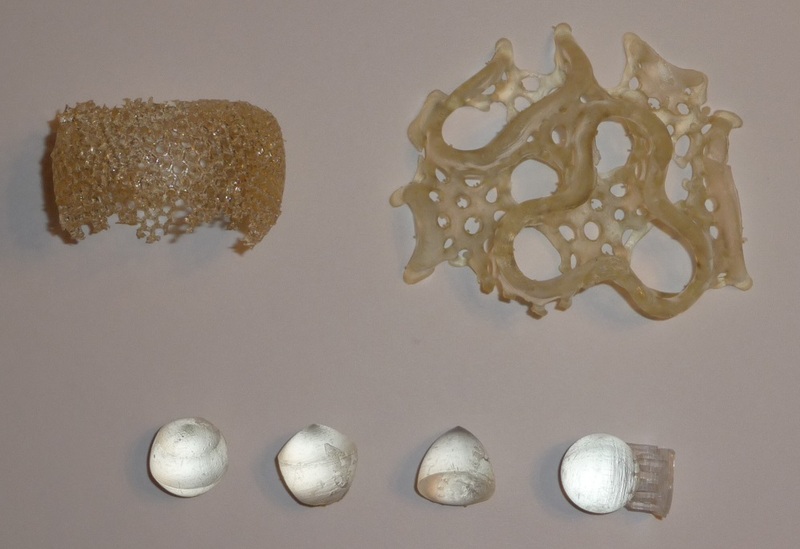 As you can see under, after the prints, the parts are white, but just 2 days outside (gyroid – top right) and the resin is much harder/cured but with a yellowish tint. 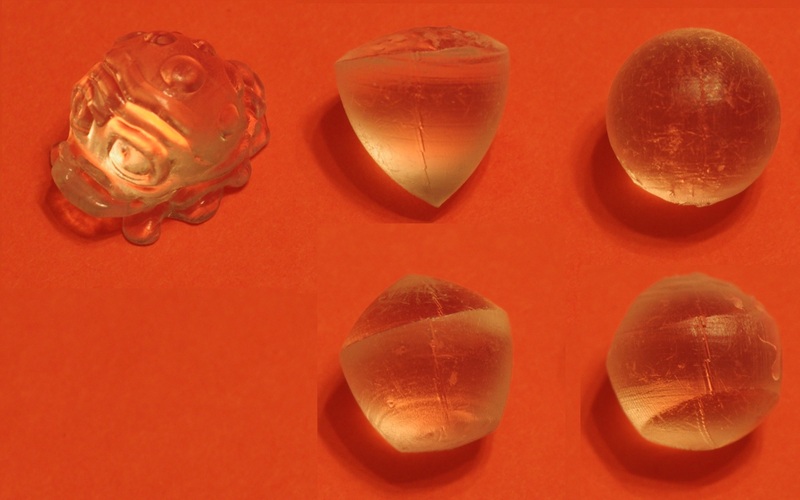 After 4 days (sphere – top left) the tint is even stronger and all the flex is gone, the cured resin is actually very stiff. I’d like like to stress that Formlabs team is making progress and the new Preform software revision (0.8.1) is actually solving one of the issues, each layers had a visible seam but the new cleared that point. To conclude this post, I have to say the form1 is an impressive printer, the details of the parts are great and the build quality is stellar. That said, I know being an early adopters has its disadvantage and even if the printing process is not yet “plug-and-print”, I have high hopes for the future! This entry was posted in 3D printer, 3D printing, Form1 printer, Mistakes and lesson learned, Stereolithography, STL files and tagged 3d printer, 3d printing, 3d touch, defects, form 1, math art, not cured, pocket monster, reuleaux spheres, stereography, stl files, Thingiverse on June 8, 2013 by damienideas.